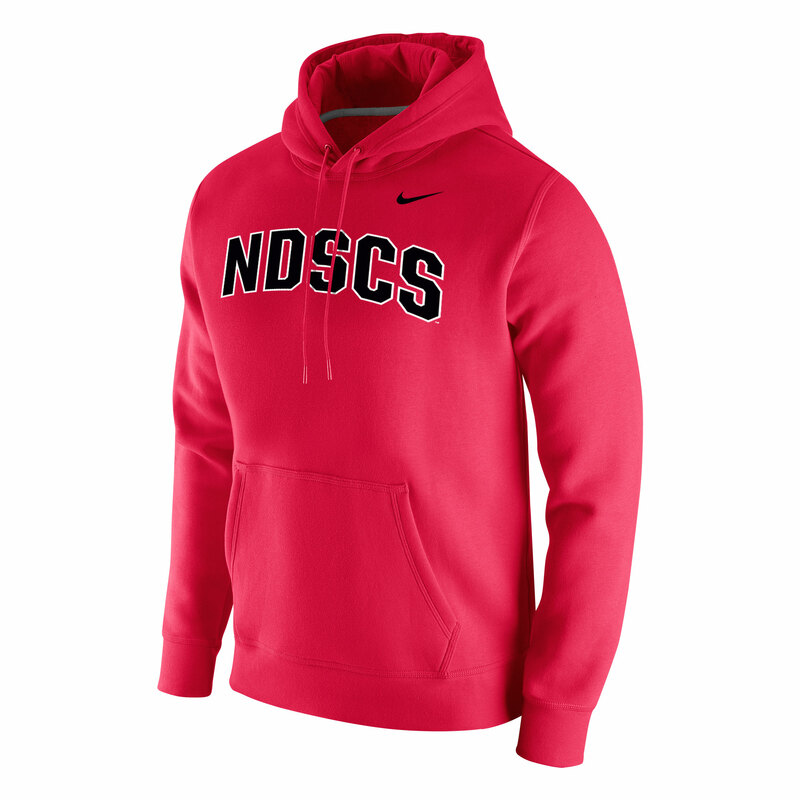 This sweatshirt features "NDSCS" on the front. 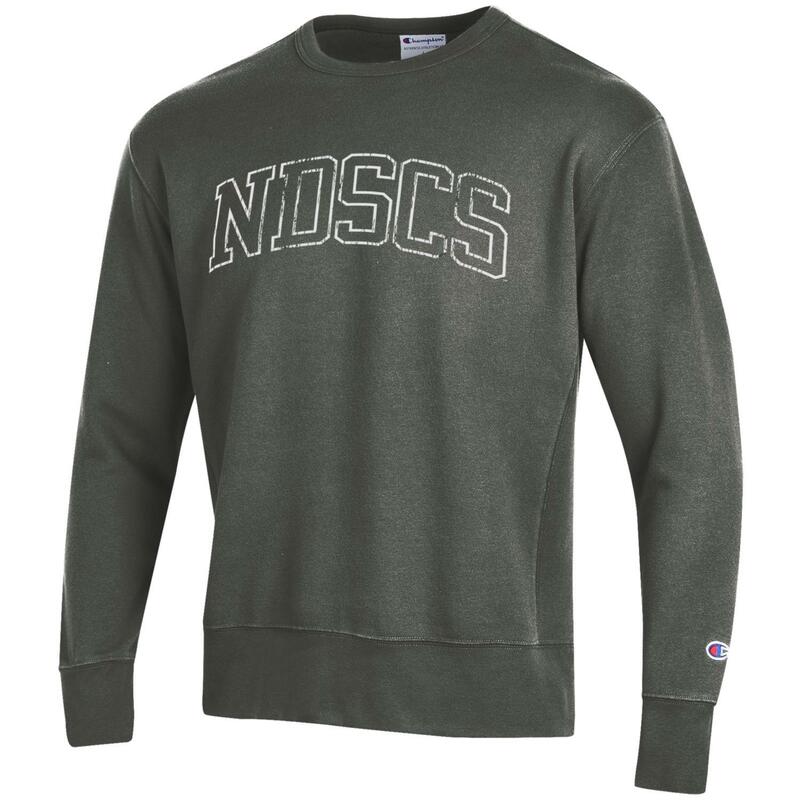 Please select option for Champion® Crew. 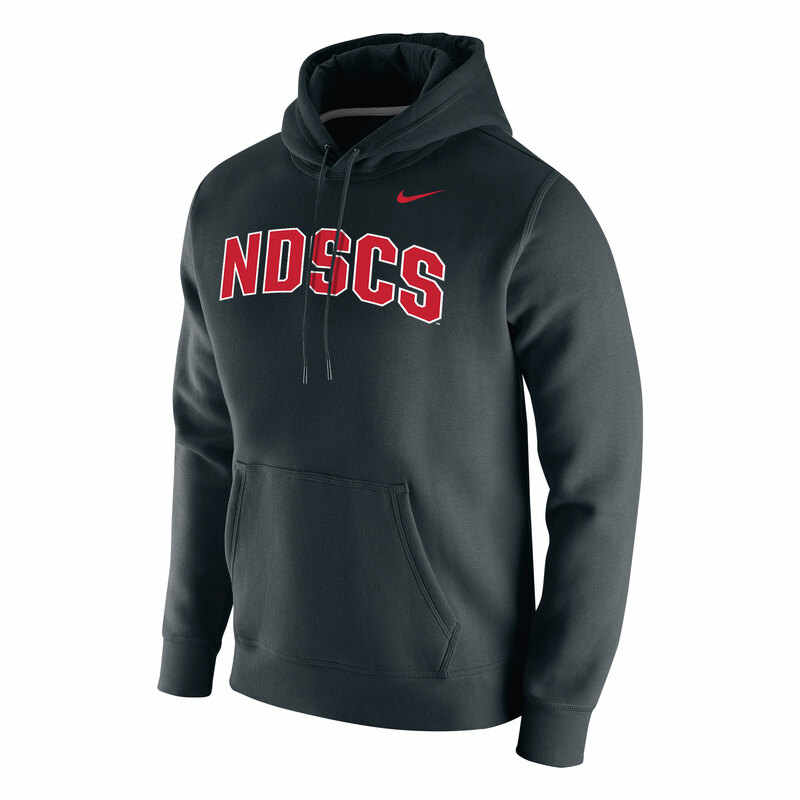 Please select option for Champion® Hood. 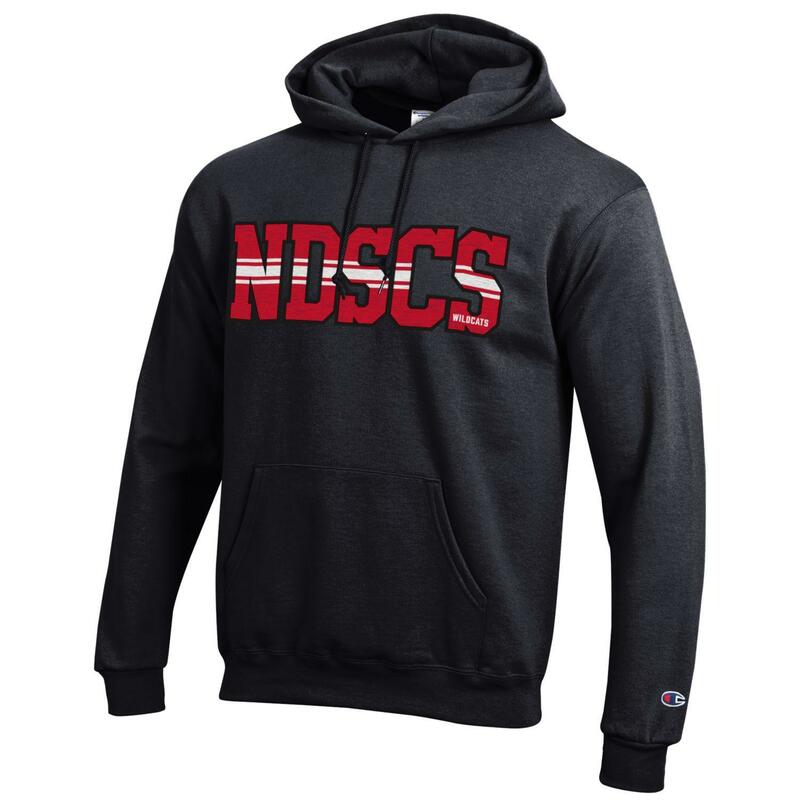 This hood features "NDSCS", wildcat head logo, and “Wildcats” flocked on front. Please select option for MV® Sport Hood. 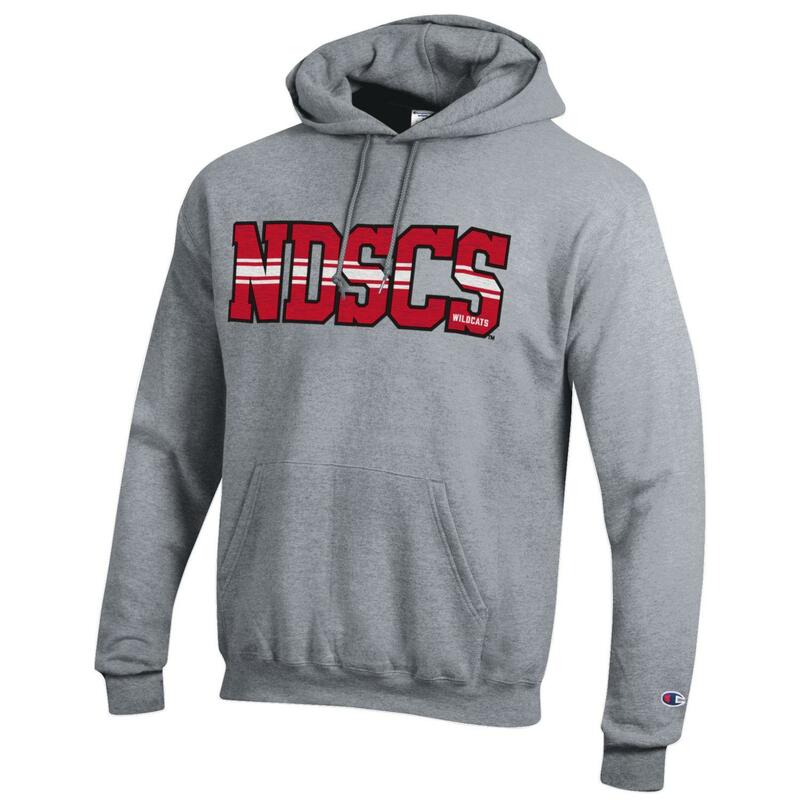 This hood features "NDSCS", Est. 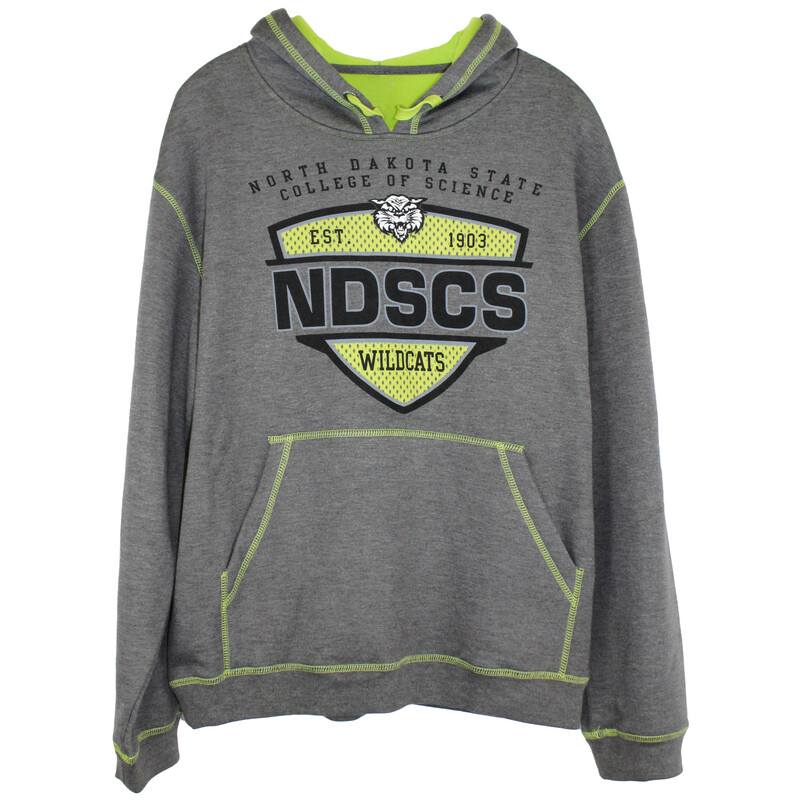 1903, Wildcats, Wahpeton stitched on front. 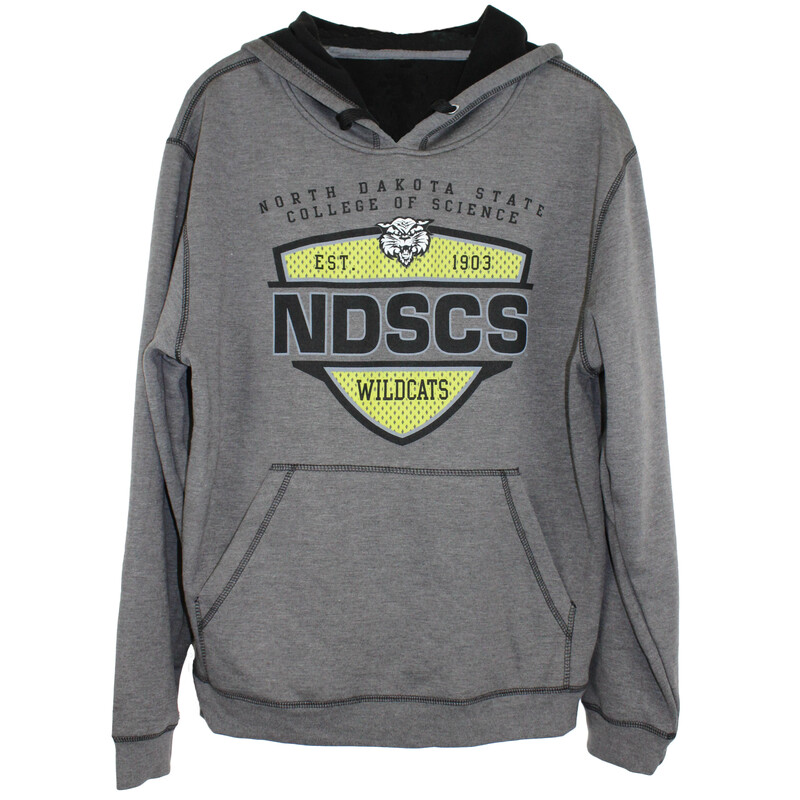 This hood features "NDSCS", wildcat head logo, and "Wildcats" flocked on front. Please select option for MV® Sport Pro-Weave Hood. 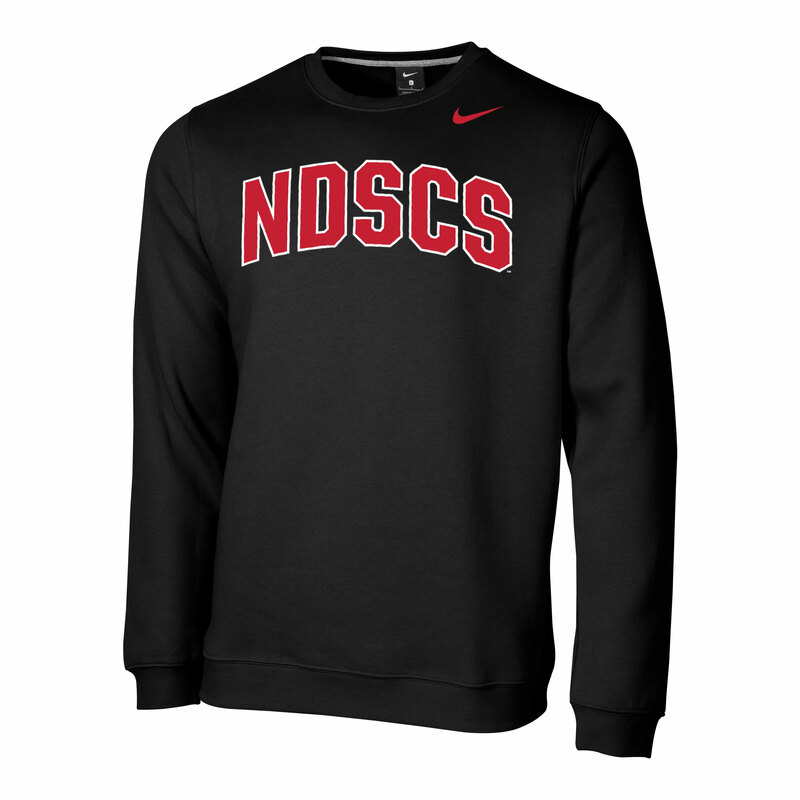 Please select option for Nike® Crew. Please select option for Nike® Hood. 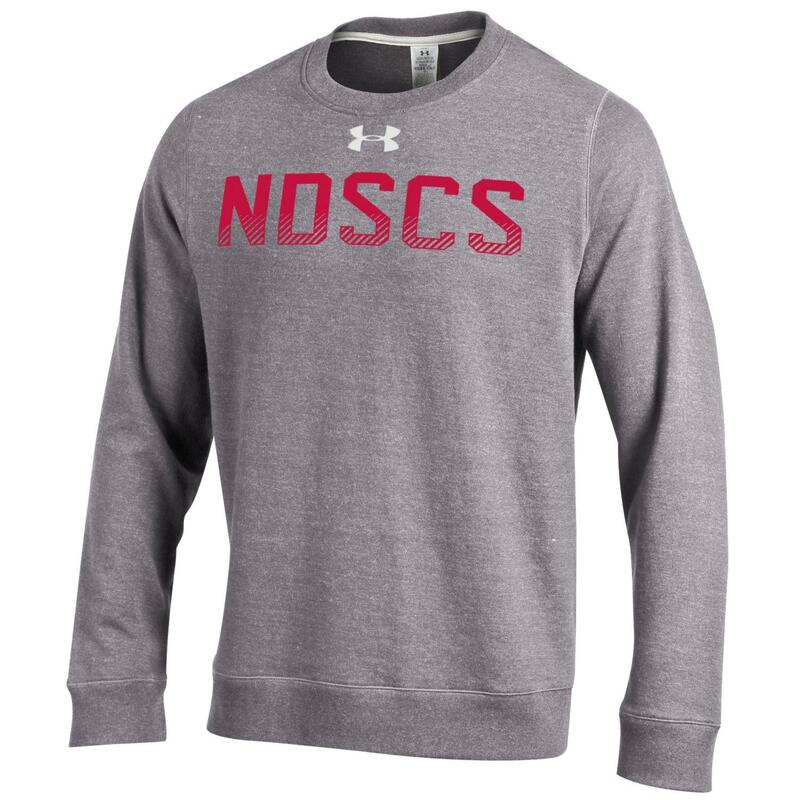 This sweatshirt features "NDSCS Wildcats" on the front. 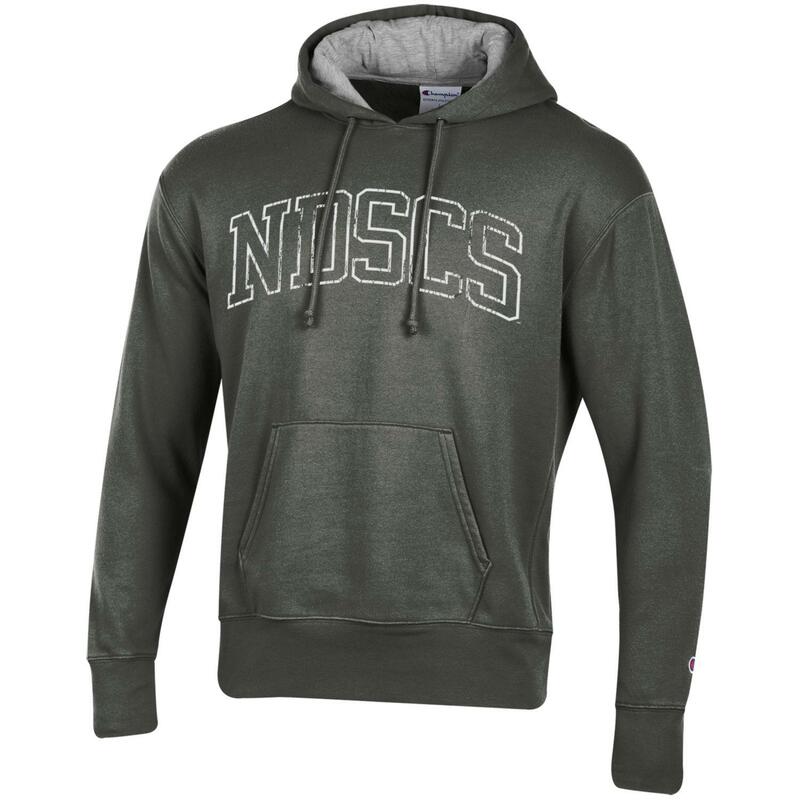 Please select option for Ouray® Transit Hood. 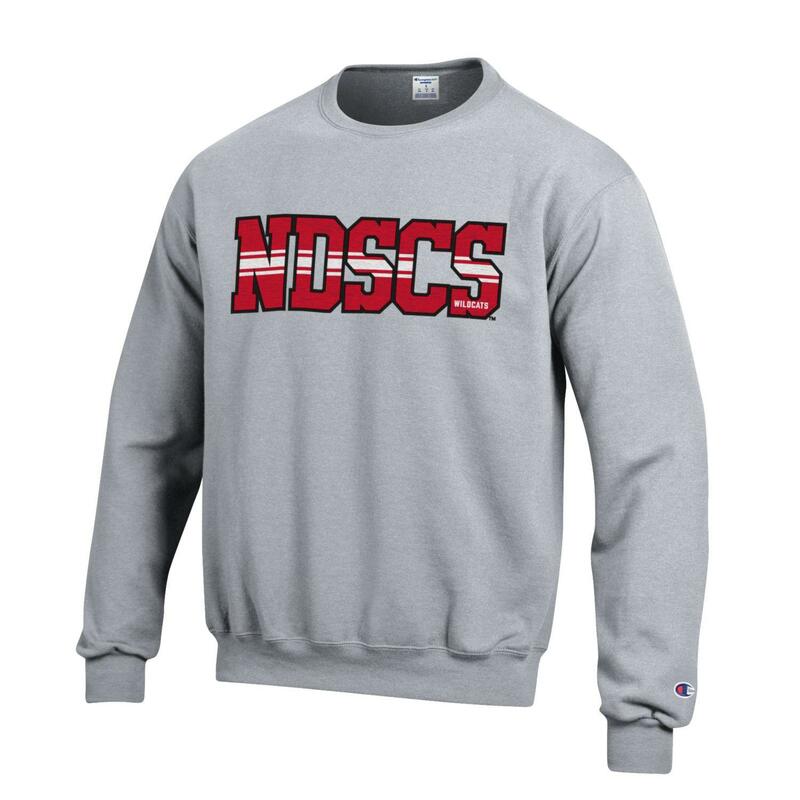 This sweatshirt features "NDSCS" of the front. 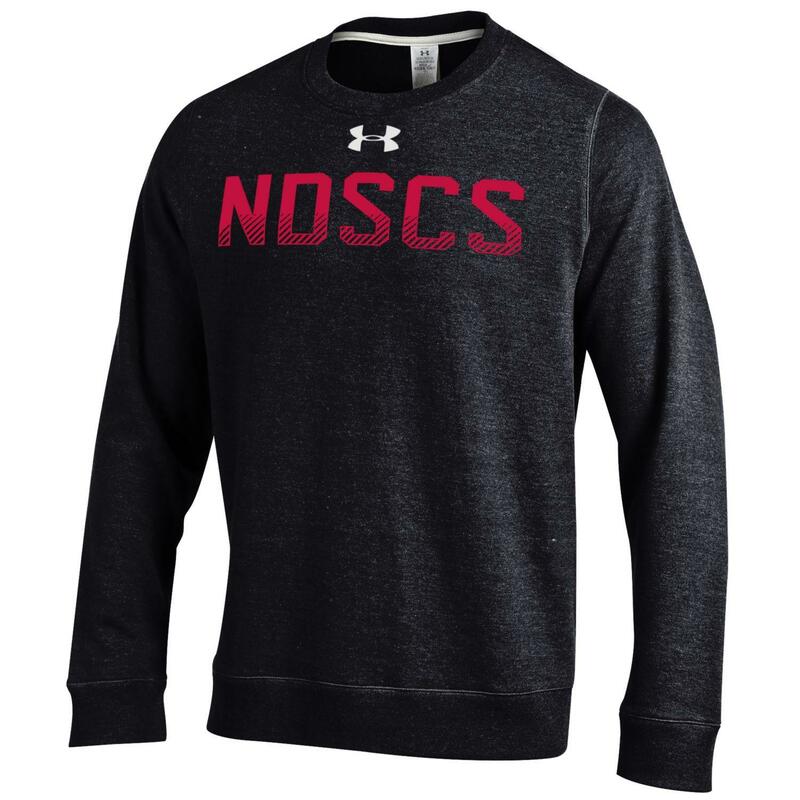 Please select option for Under Armour® Crew. 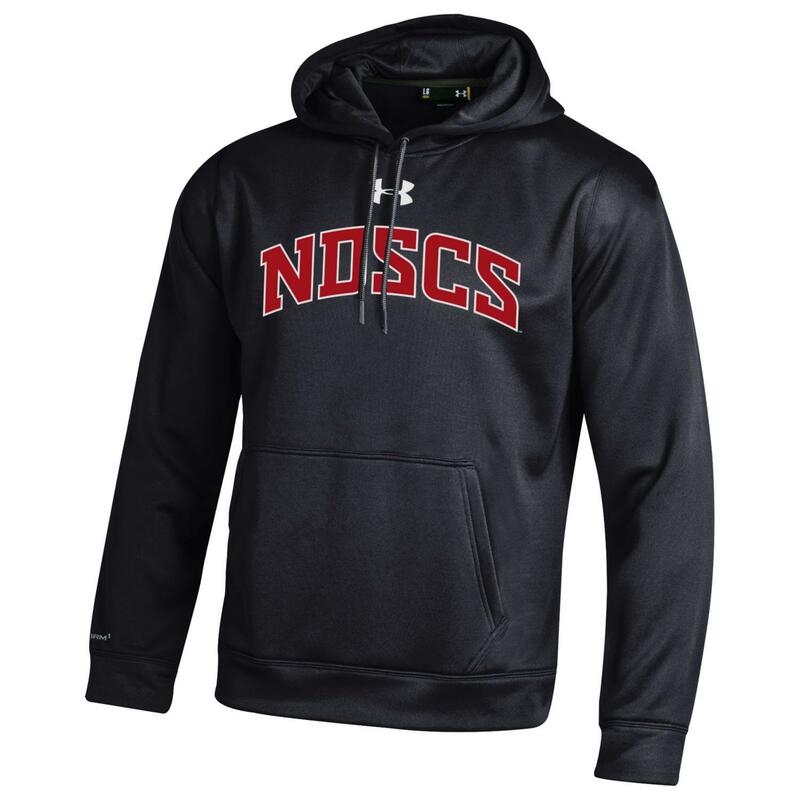 Please select option for Under Armour® Hood. 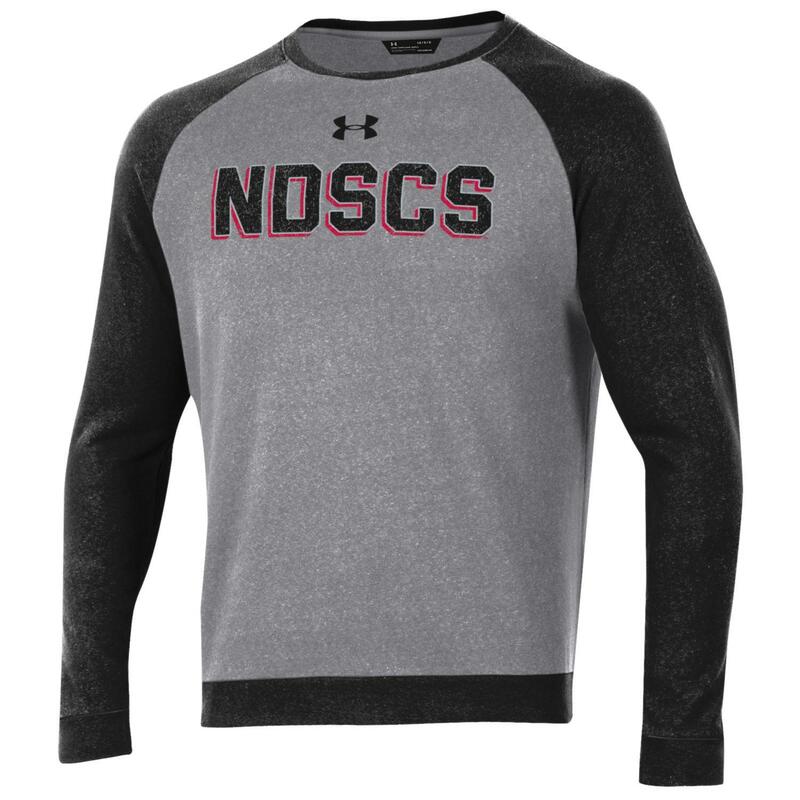 Brushed poly inner traps heat for warmth. 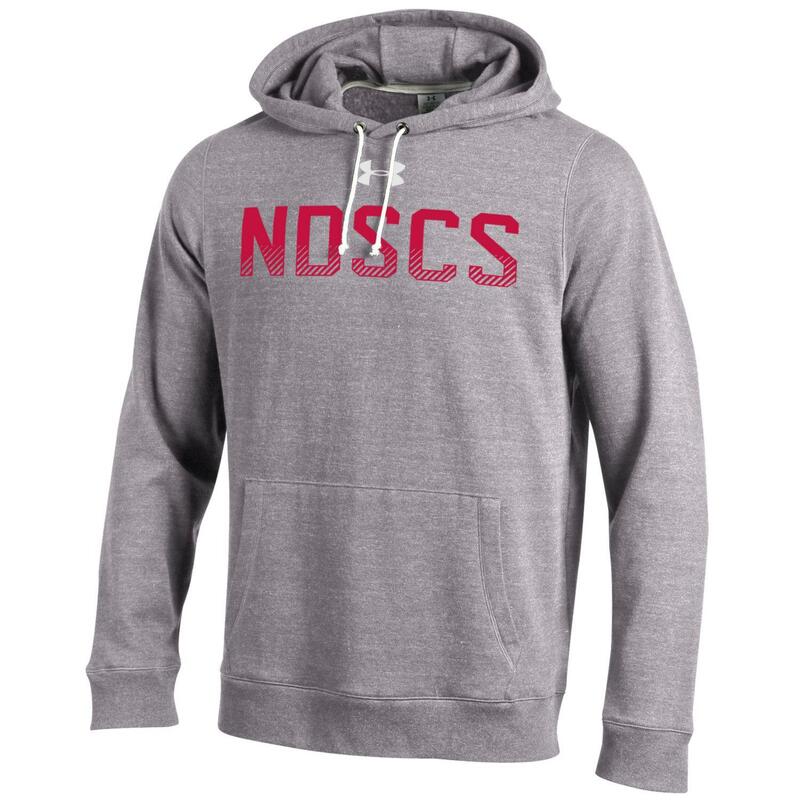 Superior moisture transport keeps you dry.